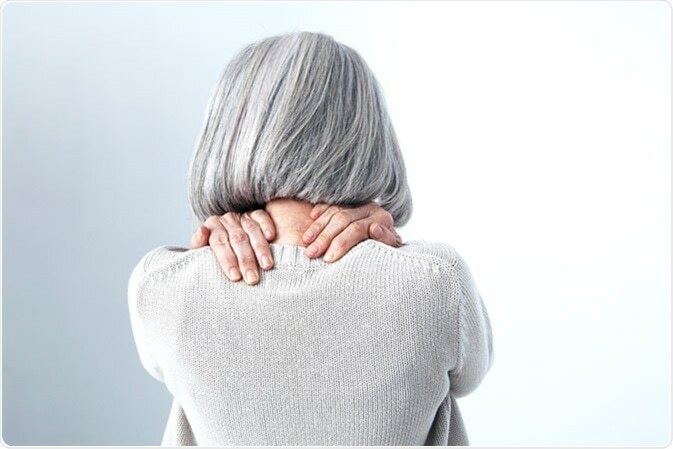 Polymyalgia rheumatica (PMR) is a rheumatic disease characterized by recurrent inflammatory episodes. PMR is usually seen in Caucasians living in Northern Europe and North America. The condition generally affects people over the age of 50 years (with average patient age being above 70 years), and is more common in women than men. The disease is largely heterogeneous in nature and follows an unpredictable course. Although PMR has some characteristic features, a number of other autoimmune disorders present with similar symptoms, making the condition often difficult to diagnose. What are the signs and symptoms of PMR? The two main symptoms of PMR are musculoskeletal pain and stiffness, coupled with evidence of systemic inflammation, all of which reverse almost immediately with corticosteroid therapy. Stiffness in the neck, shoulder and hip bones is usually found. The problem of stiffness is unbearable in the morning and improves with physical activity. Fatigue, unexplained weight loss, anorexia, weight loss and fever are some other symptoms associated with PMR. Up to a third of cases of PMR are accompanied by giant cell arteritis (GCA), a disease characterized by headache, jaw pain and visual problems. Both have similar genetic features and occur in the same population subset. The exact etiology of PMR is still a mystery; however, various genetic and environmental factors are held responsible for the same. It is thought to be a product of systemic inflammation mediated by inappropriate immune activation. Polymorphisms in the Human Leukocyte Antigen (HLA) genes are involved to some extent. An imbalance between different T-lymphocyte classes, and adrenal insufficiency, are some other hypotheses to explain the development of PMR. There is no universal test to diagnose PMR. As the symptoms of PMR overlap with a number of other disorders, the accurate diagnosis is challenging. Clinicians usually follow a combination of approaches for correct diagnosis. They take into account the clinical features, classification criteria and exclusions to reach a conclusion. Biochemical testing of PMR patients may show anemia, leucocytosis and elevated erythrocyte sedimentation rate (ESR) and C-reactive protein. Imaging techniques such as ultrasonography and magnetic resonance imaging (MRI) can help to detect inflammatory abnormalities. These techniques are especially useful to rule out conditions with similar symptoms. Muscle biopsy is recommended in patients with inflammatory myositis. Glucocorticoids are the mainstay of therapy for patients diagnosed with PMR. Patients usually respond well to low-dose glucocorticoids. Those at an increased risk of GCA-related manifestations may need higher doses. Relapses in PMR are quite common and such patients are recommended to have long term glucocorticoid therapy. Unfortunately, prolonged therapy can lead to significant adverse effects; hence steroids must be tapered slowly, to prevent flare-ups. However, finding an alternative is the need of the hour. Studies evaluating therapies targeting cytokines are in various phases of development; however, none of these have reached the market. As there are no specific diagnostic tests for PMR, the identification of specific biomarkers of PMR may also prove to be a path-breaker. Patient education and self-care are also important. Patients should be educated about the various symptoms of the disease, treatment strategies and the adverse effects associated with corticosteroid treatment. They should also be encouraged to lead a healthy and active lifestyle.